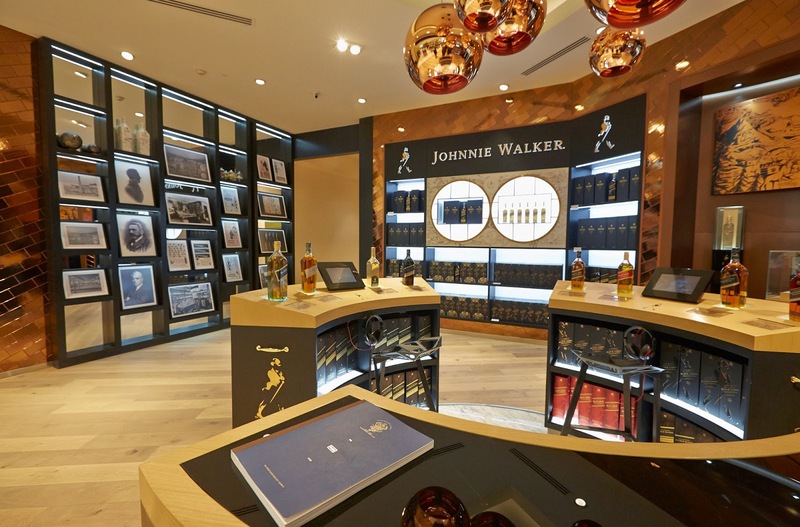 Diageo Global Travel is proud to announce the opening of two Johnnie Walker House retail showcase stores in travel retail – one in Mumbai, India and another in Taipei, Taiwan. Following the success of the Johnnie Walker House launches in Beijing, Shanghai and Seoul and continuing the brand’s mantra of ‘Keep Walking’, the new Johnnie Walker House in Mumbai and Taipei are multi-sensory embassies for luxury Blended Scotch Whisky, designed to educate and inspire travellers by providing them with a luxurious and engaging shopping experience that encapsulates the history, provenance and pioneering spirit of the Johnnie Walker brand. To celebrate the inauguration of the Houses, a limited edition bottle of Johnnie Walker Blue Label has been created. The Johnnie Walker House Art Collection – Mumbai Edition will be exclusively available at Mumbai International Airport. Lawrence Law, Global General Manager Johnnie Walker Houses, said: “I’m delighted to see the extension of the Johnnie Walker Houses into travel retail. It’s a move that highlights the esteem with which we hold our commercial travel retail partners. We believe it’s important to immerse consumers in our brand and these houses will provide them with the first luxury retail experience beyond our flagship Johnnie Walker House." The Johnnie Walker House Mumbai, in collaboration with DFS Group and Flemingo International, launching 2 September 2014, is located in the prestigious departures concourse of Terminal 2 of Chhatrapati Shivaji International Airport. To celebrate the opening, an exclusive Johnnie Walker House Art Collection – Mumbai Edition – has been created. The special bottle shows a unique interpretation of the original Johnnie Walker journey from Scotland to India in 1883 and reflects the brand’s long heritage as one of the world’s first international brands. The Johnnie Walker House Taiwan, launching late September 2014, will be located in the departures concourse immediately after immigration at Terminal 2 of Taoyuan International Airport, Taipei. Johnnie Walker first traded in Taiwan in 1925 highlighting the brand’s long travel heritage. Within, travellers can purchase a range of unique, exclusive whisky collections that are exclusively available at Johnnie Walker House Taiwan. Starting this month, all consumers will be able to access their own copy of Johnnie Walker House Edit, a commissioned quarterly title dedicated to the art of good living that brings together curated content from world-class contributors, stylists, photographers and creative talent. It will also be available to all patrons of the newly launched properties. Inspired by the Johnnie Walker House philosophy of Living Luxury.